After my visits to Manis in Surrey, it got me thinking. Sure, the food itself left a lasting impression, but I realized that I had raved about their Laksa. Now raving about something is no laughing matter as one should generally back-it-up. 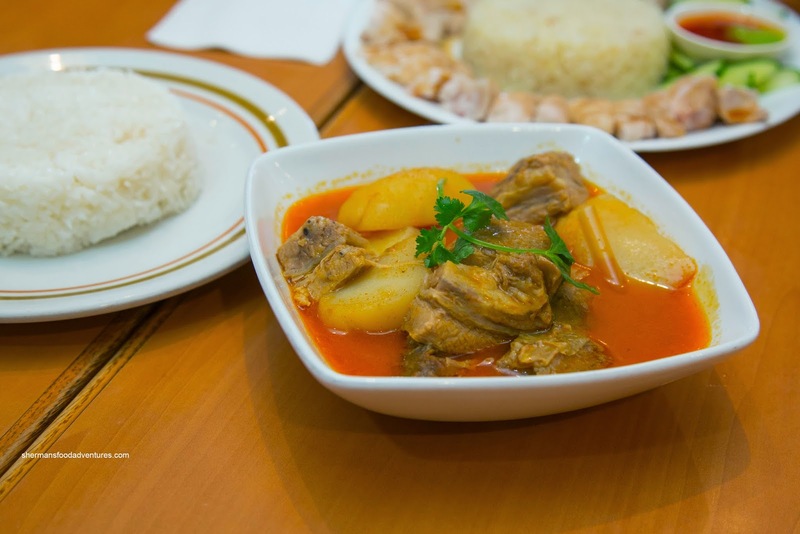 In other words, you can say something is the best when you haven't tried all of the contenders in town. Of course restaurants close and new places open up as well. That means, the best of anything is only valid for a short period of time. Furthermore, to really make sure, one must revisit as well. 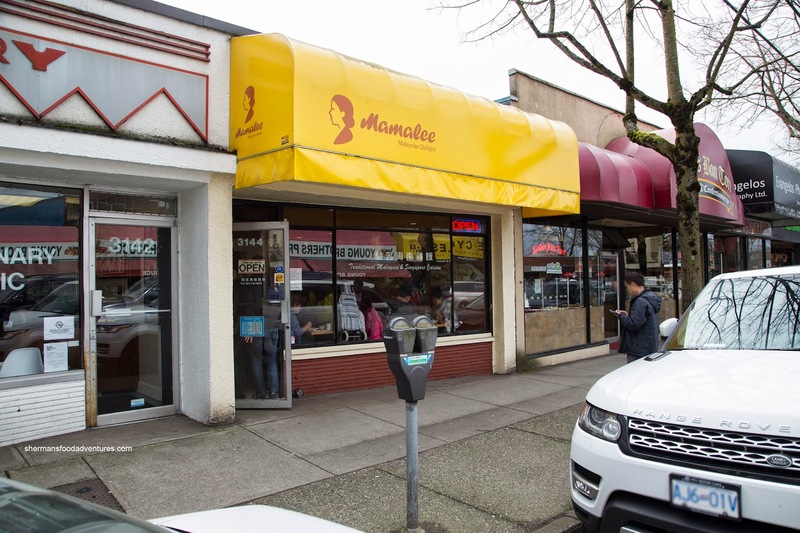 Hence, first on the list was Mamalee in Kits. For those unaware, Mamalee is just a new name for Cafe D'Lite. 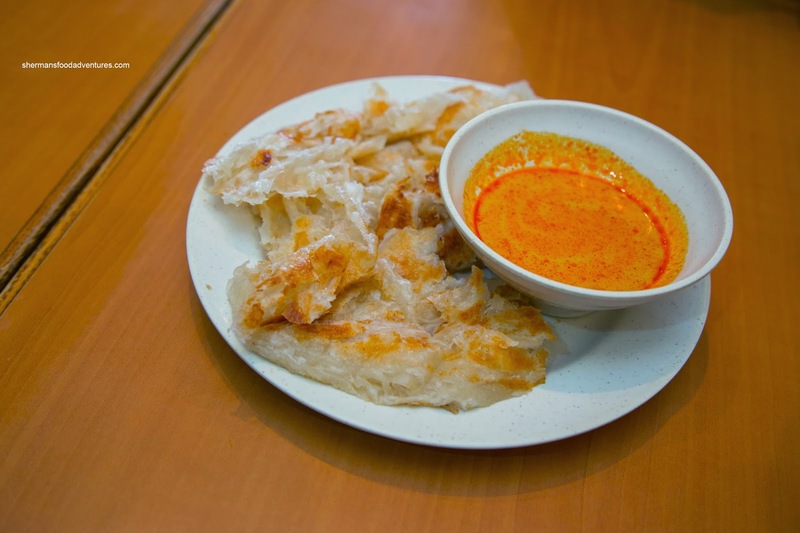 To get things started, we got a couple of orders of the Roti Canai. The kids got their own and dusted it off gladly. For Viv and I, we thought that the texture was inconsistent. Some parts were flaky and nicely chewy, while other parts were underdone and doughy. We did like the accompanying dip though as it was smooth and coconutty with minimal saltiness. 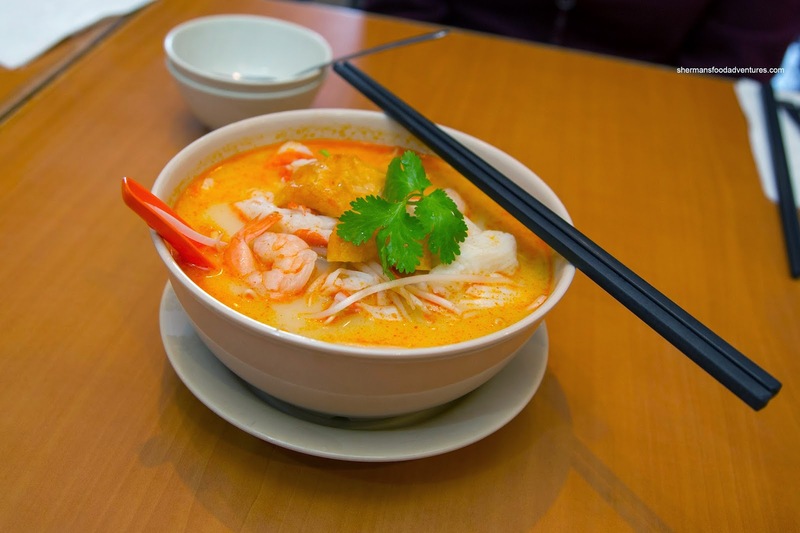 As for Seafood Laksa, I've had it before and this time around, it didn't deviate much. Good for consistency, but not really that impactful in terms of overall taste and aroma. With that being said, it wasn't bad as the broth. It was still full of savoury notes including the essence of fermented shrimp and of course coconut milk. It was mildly spicy, yet lacking an overall richness. The noodles were not overdone while the modest amount of ingredients were fine. Of course we couldn't get out-of-there without ordering the Hainanese Chicken (large order). The ample amount of dark meat was sufficiently tender while a touch on the drier side. With a nice gelatin quality, the chicken skin was soft and buttery. Doused in just the right amount of seasoned soy, the chicken was accented well by the side of sweet chili and ginger & green onion condiment (not overly salty). However, the chicken rice was a bit disappointing as it was too soft and in some parts clumpy (in a mushy way). It did taste good with the essence of chicken oil, ginger and a touch of saltiness. The Brisket Curry was not really all that impressive as it featured a sauce that was thin and bordering on bland (even though there was a good spice level). The worst part was the rice as it could've been used for wallpaper paste. It was so wet and mushy that the individual grains were indiscernible. This was an unfortunate end to a relatively acceptable meal. As for the laksa, I still like the one at Manis so far. 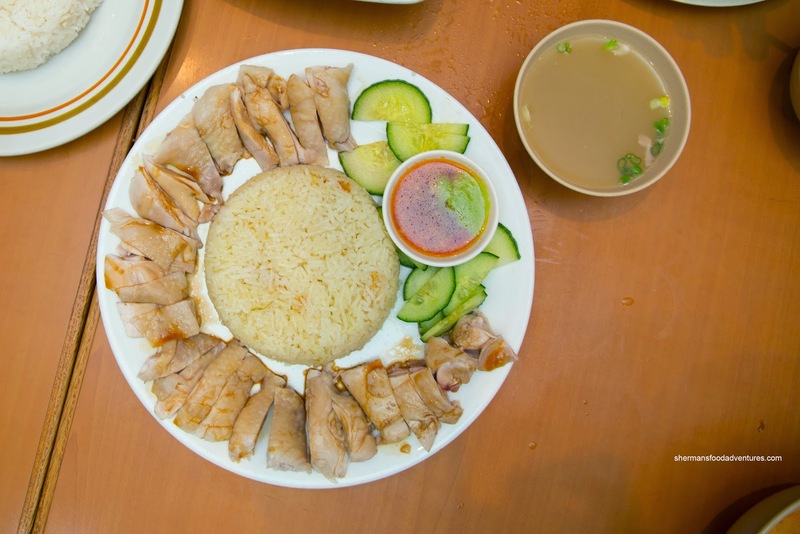 So who has the best Hainan chicken rice in town? I've had Mamalee's, at least when it was Cafe D'Lite, and it was good (but miles short of the chicken rice in Penang, Malaysia). I would love to explore some more options.